Despite humble beginnings Jaz Coleman (vocals/keyboards) and Geordie Walker (guitars) were never short of ambition. Neither were fellow band mates Martin "Youth" Glover (bass) and drummer Paul Ferguson. Indeed they started with a manifesto suggesting their music aimed to "define the exquisite beauty of the atomic age in terms of style, sound and form". Once aligned to Virgin their first two albums of the early 1980s - the self-titled Killing Joke and What's THIS For…! - were accompanied by a stage act that was designed literally to incite and inflame audiences. They soon found a staunch supporter in the ever reliable DJ John Peel who championed their abrasive cause on his late night radio show and aired such early classics as 'Requiem', 'Wardance', 'Butcher' and 'Follow the Leaders' with such enthusiasm that both discs sold creditably well at a time when few others were rocking the establishment boat with songs about pollution, fascism and the general malaise in society. The third album really saw people starting to take the Joke seriously. Revelations was aptly named. Produced with Conny Plank of Can fame in Cologne It hit Number 12 in the charts and saw them make their Top of the Pops debut with the single 'Empire Song'. Typically contrary, Coleman decided that the Apocalypse was upon the Earth and departed for Iceland, soon followed by the rest of the group but when it was clear the end wasn't yet night Youth and Ferguson quit and formed the off shoot Brilliant with bassist Paul Raven. 1983's Fire Dances was made without Youth but with Raven. There was also sterling production from John Porter and a continuing fascination with the occult, fire ceremonies and ancient mythology – all quite a contrast from the original perception of the band as purely provocative pyrotechnic punks, though the music is still pretty damn ferocious. Night Time and Brighter Than A Thousand Suns were their most accessible and warmest sounding albums yet. Indeed one track, 'Eighties', boasts such a commercial riff that the band was certain later that Nirvana had 'borrowed' it for 'Come as You Are'. In any case the matter never really took off and Nirvana's Dave Grohl would take time off from Foo Fighters to drum for the band on their eponymous Killing Joke album of 2003, so no harm done. It was back to Germany for the Thousand Suns disc, which utilised four cracking producers – Julian Mendelssohn, Stewart Levine, Chris Kimsey and Chris Tsangarides. Like all their other albums this is available with considerable bonus material, including various studio mixes, outtakes and even cassette only choices. So without consigning them to a dusty past Killing Joke have left a legacy of excellence. There are also some great compilations to try. Laugh? I Nearly Bought One! is pretty well definitive for those who want to hear album cuts while Wilful Days (1995) is mostly a set of non-album singles, remixes and rare b-sides. 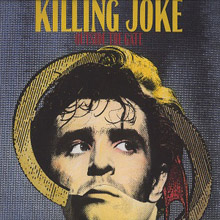 Killing Joke – For Beginners (the title is ironic) is also heartily recommended. Fittingly, for a group who adored using the radio as the hand that bit them there are also two BBC In Concerts (23rd March 1985 and 22nd August 1986) from the mid-eighties when the band was its live peak and a respectful The Peel Sessions 79-81 so you can catch up with where they first came in. Incredibly prolific as they were the band were prone to internal strife on a large scale and Outside the Gate (1987) saw Walker and Coleman grab the mantle and insist on a synth heavy recording that aggravated the rest no end and led to their departure from the original label. However, Coleman and company (minus Raven who died in 2007) have reconvened many times since, played notable festivals such as the Isle of Wight in 2007 and delighted old time fanatics with recent albums Absolute Dissent and MMX11. If they never made life easy for themselves, or indeed their fans, at least Killing Joke are one of those acts who didn't compromise and when they've been absent there's always seemed to be a void. Older, more mature perhaps but probably no less anxious to suffer fools gladly it's good to report that they still lurk in the background. If you've never heard them, you should. 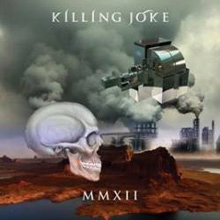 MMXII (2012 in Roman numerals) is the fifteenth studio album by Killing Joke with Jaz Coleman on vocals, Kevin "Geordie" Walker on guitar, Martin "Youth" Glover on bass, and Paul Ferguson on drums. The album was released on 2 April 2012 on Spinefarm Records, and is distributed worldwide via Universal Music Group. The album was released on October 30th in the USA. 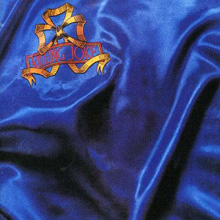 The album, which features ten tracks, was engineered and mixed by Clive Goddard, Tom Dalgety, Michael Rendall, and Reza Udhin, and produced by the band. It was released as a CD, a double coloured vinyl, and as a downloadable album via iTunes with "New Uprising" as an exclusive track. 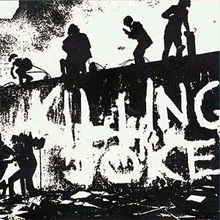 Post-punk, apocalyptic, able to serve up some biting social commentary, and all while doing it so thunderously they seem on the very edge of heavy metal, veteran U.K. band Killing Joke get the simple chronological overview on The Singles Collection: 1979-2012, a set that does just what it says on the tin. The 1980 single "Change" is missing, but otherwise, their prime 7"s are knocked off in order with giant numbers like "Eighties," "Wardance," "Requiem," and "Love Like Blood" coming off as classic and essential. All of these greats land on the first disc, which covers the golden years of 1979-1988, but disc two's covering of 1990-2012 is quite helpful for the casual fan, who can now catch up with some prime material that was released as the band flew underneath the mainstream's radar. That said, disc two does some revisionist history with non-singles like "Ghosts of Ladbroke Grove" landing on the track list, and when it comes to the physical release, the booklet is an afterthought, filled with tiny pictures of the 7" releases and some quick, kind essays. Killing Joke have always been more of an "album band" anyway and their large, rich discography calls for overviews much bigger in size than this. Still, it is interesting to look at the epic, ambitious group by their attempts to cross over, and while not all singles were as worthy as the album cuts, this alternative view has some massive high points. 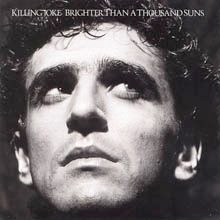 Killing Joke's 2010 release sees the band's lineup returning to its earliest incarnation, with vocalist Jaz Coleman and guitarist Geordie Walker (the only two constant members) rejoined by bassist Youth and drummer Paul Ferguson for the first time since 1982. They're playing at full strength, with the rhythm section pumping hard on the opening title track and the three that follow it. But on track five, "European Super State," the album takes a surprising turn toward retro, synth-driven disco-pop, sounding like an outtake from Laibach's NATO. They recover quickly, though, with "This World Hell," one of the heaviest and ugliest tracks on the entire album. 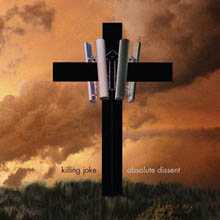 There are a few other surprises (the soft and kinda catchy "Honour the Fire"; the ballad "The Raven King," dedicated to late bassist Paul Raven; the dubbed-out "Ghost of Ladbroke Grove"), but for the most part, this is a monolithic slab of Killing Joke at their most forceful, focused, and aggressive. It's not totally surprising - their self-titled 2003 album and 2006's Hosannas from the Basements of Hell, particularly the latter, have practically been the rock equivalent of life-extinguishing meteors - but it's damn nice to hear a band still operating at this level after more than 30 years into its career. Marking the full return from the band's out-of-nowhere hiatus in 1982, Night Time, following after a couple of test-the-waters EPs, finds the reconstituted Killing Joke, with Paul Raven in on bass but otherwise unchanged, caught between their earlier aggression and a calmer, more immediately accessible approach. This turned out to be the band's Achilles heel in the end, with later albums in the '80s evidence that the group had turned into an unbelievably boring, generic modern rock band. At this point, however, the tension between the two sides had a perfect balance, and as a result Night Time is arguably the quartet's freshest album since its debut, with a warm, anthemic quality now supplementing the blasting, driving approach that made the band's name, as songs like "Kings and Queens" demonstrate. Geordie Walker pulls off some jaw-dropping solos amid his fierce riffs - check out his turns on the title track - while Paul Ferguson mixes and matches electronic beats with his own very well (perhaps a little less intensely than before, but not by much). Jaz Coleman's experimentation with keyboards - chopped-up vocal samples, calmer and sweet lead melodies - is paralleled by his own singing, now mostly free of the treatments and echoes familiar from earlier days. He's got a great singing voice as it stands, and it's a treat to hear him let it flow forth without forcing it. "Eighties" turned out to be the retrospectively most well-known song, due to a surprising and not always remembered example of Killing Joke's influence - Nirvana, of all groups, thoroughly cloned the watery guitar line at the heart of the track for "Come as You Are." "Love Like Blood" was the breakthrough single in the U.K., although - and for good reason - it managed the bizarre trick of slotting alongside Duran Duran for mainstream radio airplay while still sounding like nobody other than Killing Joke. A pity the group then spent some years doing pallid clones of the song. The end of the '80s wreaked havoc on all too many bands that started off strongly and, while Killing Joke hadn't quite reached its nadir (that would happen with the appalling Outside the Gate), Brighter Than a Thousand Suns was a definite transformation from the days of "The Wait" and "Complications." The unexpected success of Night Time and new commercial pressures clearly came to bear - Chris Kimsey's production, effective on that earlier album, here combined with Julian Mendelsohn's mixing to result in too often blanded-out album rock throwaways, perfect for blasting on highways and little else. Still, the band hadn't changed any from Night Time, and even that lineup was three-quarters of the original incarnation of the group. The emphasis still focused clearly on volume and strong, full-bodied playing - Geordie Walker, Paul Ferguson, and Paul Raven don't sound like they're holding back at all even if their individual performances are less on the edge. Jaz Coleman's newfound way around inspiring singing, meanwhile, pays off in dividends; though it's impossible to square the results here with his earlier hectoring and cutting rage, the warm, sweet passion that he brings to bear often transforms an OK track into a great one. "Adorations," the killer opening track and easily the album standout, is a perfect example of how this era of the group could make it all connect, Coleman's beautiful performance on the chorus and the overall ensemble effort making it the best anthem neither U2 nor Simple Minds ever wrote. But the stiff, mechanical beats on the immediately following "Sanity" - a ridiculous substitution of Ferguson's undisputed abilities - sets the tone for the remainder of Brighter Than a Thousand Suns, an effort ultimately dialed in rather than performed. The sound-alike quality of nearly all the songs - especially ironic considering the accomplished genre-hopping on the earliest records - renders Killing Joke its own unfortunate parody in the end. After stalling a bit with their 1982 album Revelations, Killing Joke nearly split up, with lead singer Jaz Coleman disappearing to Iceland in order to "survive the apocalypse." By the time Coleman returned to the band, bassist Youth was gone and replaced by Paul Raven, a perfect fit who would stay on board as the band found its way up the charts over the next few releases. As a reaction to all these comings and goings, this is a decidedly tribal album that opens with a track called "The Gathering," follows it with the "join the mob" anthem "Fun &amp; Games," and features words like "we" and "us" throughout the album. The ultimate communal moment, "Let's All Go (To the Fire Dances)," is also the key track, with guitarist Geordie Walker bouncing between crunching barre chords and a Duane Eddy-on-steroids riff while Raven and drummer Paul Ferguson throb like a veteran rhythm section. Even if Coleman's lyrics are filled with venom as always, he's rounding up allies to fight the system here and considering the idea of connecting with his audience rather than just confronting them. Fire Dances bridges Killing Joke's primal past with their more melodic, accessible future and without compromising any of their thunder. "Revelations was the third album of the English post-punk group Killing Joke. "Empire Song" and "Chop-Chop" were released as singles. "Empire Song" was performed at Top of the Pops, but without singer Jaz Coleman, who had just departed for Iceland. A remastered version with one bonus track was released in 2005. 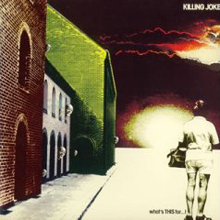 Killing Joke - What's This For . . . ! If not quite as remarkable as the band's gripping self-titled debut, What's THIS For...! 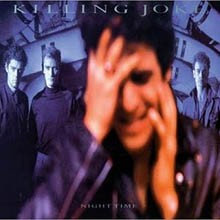 showed that Killing Joke could maintain their frenetic, doom-wracked intensity while experimenting with their already strongly established style. Jaz Coleman's vocals go through even more treatments and tweaks than before, chorus shout-alongs swathed in deep echoes, hidden behind Geordie Walker's punishing riffs and the steroid-driven rhythm section. Big Paul Ferguson in particular lays down some absolutely skull-crushing drum slams and Youth is no less intense at most parts, and often they rather than Coleman or Geordie dictate the song, as the lengthy death-groove of "Madness" makes perfectly clear. Elsewhere Geordie shows a calmer (comparatively) side, soloing on songs like "Butcher" making common cause with the guitar work of Bernard Sumner in Joy Division days - indeed, the song as a whole could almost be a tribute to that band, and one of the better ones at that. The playing around with supposed genre boundaries doesn't hurt either - the beatbox/synth loop pulse of "Follow the Leaders," crossed with the more brusque blasts from the core band, suggests its eventual path in later years, while "Tension" lets the slithering funk heart of the band burst forth even more strongly. (The drums and opening riffs themselves almost sound like a parody of the Knack's "My Sharona.") "Unspeakable" is arguably the hidden highlight of the album, Coleman's heavily flanged, distorted singing sliding down a slowly descending chord pattern that suggests an early glam band gone martial and paranoid, Ferguson all over his set like four people at once. 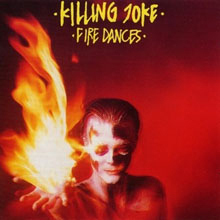 The debts of later bands toward Killing Joke are even clearer than ever, whether it's the fact a group named themselves after the opening track, "The Fall of Because," or that late-'80s Ministry so effectively cloned the whole style on songs like "Burning Inside." Fans who thought Killing Joke had hit rock bottom with Brighter Than a Thousand Suns were proven wrong by the follow-up effort. To be fair, Outside the Gate was never meant to be a Killing Joke album, at least not by the band. It was a solo album by lead singer Jaz Coleman -- with KJ guitarist Geordie Walker helping out -- until the record label muscled the band's name onto the cover in an attempt to make some money off this misguided experiment. Here Coleman tries to become a bona fide singer rather than just a vocalist, and turns his usual growl and shout into a croon. His delivery is iffy, undermining his grandiose lyrics which are further damaged by the horribly thin music. Pallid synths poorly imitate orchestras, the complex song structures are just tedious, Coleman acts as if he's Freddie Mercury and David Bowie mashed together, and none of the throb, thunder, or heavy riffage so important to the Killing Joke name is to be found. 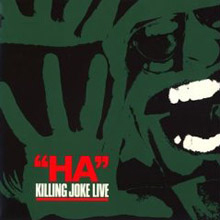 Put it this way: this is the Killing Joke album where castanets are heard and both bassist Paul Raven and drummer Big Paul Ferguson quit the band to avoid association with this misfire. If you're anything but a very forgiving completist, pass on this one. Though barely six songs and 26-minutes long, Ha! Killing Joke Live packs more ferocity and impact than most live recordings twice as long. Killing Joke was still in its punk-derived infancy when this was recorded in 1982, and the intensity of Jaz Coleman's vocals and Geordie Walker's guitar is brutal. What's more, the track selection serves as a nice primer to Killing Joke's early years. The previously unreleased "Take Take Take" is impressive enough, but the fearsome versions of classics such as "Pssyche" and "Wardance" are corrosive. The sound is surprisingly clear, too. Even upon its release, Ha! was not easy to find (and since it was deleted almost immediately, it became even less so) but listeners are urged to track down this superlative recording.